Doctors in the UK can now prescribe cannabis-derived medicine after the government today announced a relaxation of laws. For one mother this can’t come too soon. A desperate mum is in a race against time for cannabis to be legalised – because it can stop her son from going blind. Sam Clark, 14, was diagnosed with retinitis pigmentosa (RP) at just four years old, a rare genetic disorder which leads to blindness through gradual vision loss. Registered blind, the teenager can only see in the daylight and has severe tunnel vision which he compares to looking through two dark, thin straws. But mum Catherine Scott has done lots of research online and has seen studies that show medicinal marijuana has helped save the sight of people with the same condition. Concerned Catherine, 37, said: “There is no history of RP in our family but me and my husband both carry the gene. “Sam developed severe RP early on and by the end of puberty, he will be completely blind. “If I can’t give him cannabis, that is it for Sam – everything blacks out. 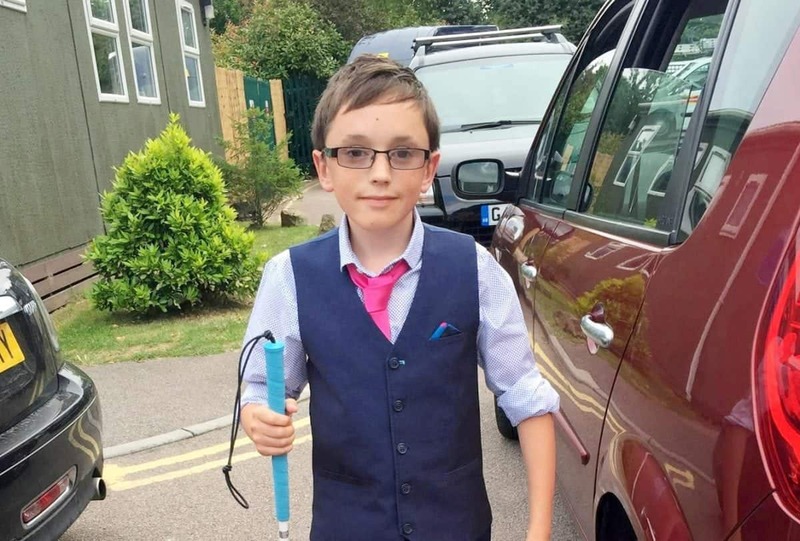 Sam, from Folkstone in Kent, enjoys playing football, rowing and cars but was told by doctors he will never be able to drive and will lose his sight completely during puberty. 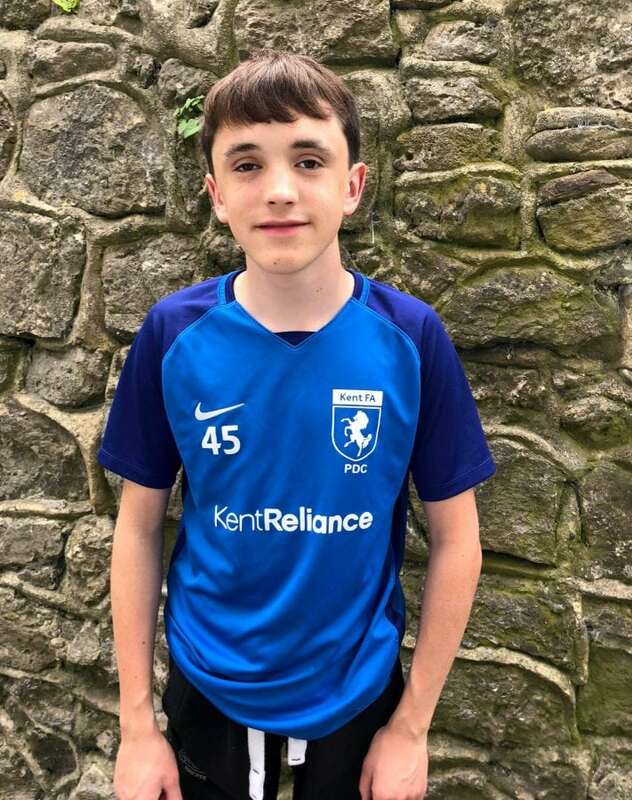 Sam is so focused on saving what precious eyesight he has left that he turned down the opportunity to join the FA disability talent pathway and train for England’s blind football team when he was told he would have to play blindfolded. RP is an incurable disease but research shows cannabis to be useful for delaying vision loss. Catherine, a full-time mum to Sam, James, 12 and daughter Nia, three, spent the last ten years researching alternative treatments and is convinced medicinal cannabis will stop Sam from losing what precious vision his has left. Sam first showed signs he was struggling with his eyesight at 18-months-old. Catherine said: “Sam could not see in the dark. “He would drop to the floor and put his arms out and I would have to help him. The family were referred to a local hospital where Sam had to sit in a dark room with a brain scanner on his head to test his vision, as he was too young to articulate what he could see. But it wasn’t until two years later when Sam could describe what he saw in pictures and photos, that he was formally diagnosed with RP in 2008. Catherine attended help groups where she met people suffering from the disease and discovered they were using medicinal cannabis. She also read scholarly articles written by both medical experts and RP patients such as Sue Arnold who wrote in 1998 that ‘smoking dope’ temporarily restored her sight. Further examples from Catherine’s research included a Spanish study analysing the impact of cannabis on two groups of blind rats. Those that were given cannabis had 40 per cent more photoreceptors in their eyes than those not given the drug, meaning their eyes were more sensitive to light and dark, shapes, movement and colour. Sam was prescribed Diamox to help his condition but it had a bad affect on his kidneys and doctors decided it was too dangerous for him to continue the treatment. He is one in seven people in the UK to have CWC27, a rare gene which means he is allergic to the drug. Catherine said: “For me, it is a question of pharmaceutical drugs or cannabis as a plant-based drug. Despite Catherine’s compelling case, doctors still refuse to consider the possibility of Sam taking medicinal cannabis until his next yearly check-up in March – by which time he could be left permanently blind. Catherine is concerned time is running out for Sam after he experienced serious complications with his eyesight last year. She said: “A year ago we had an emergency. 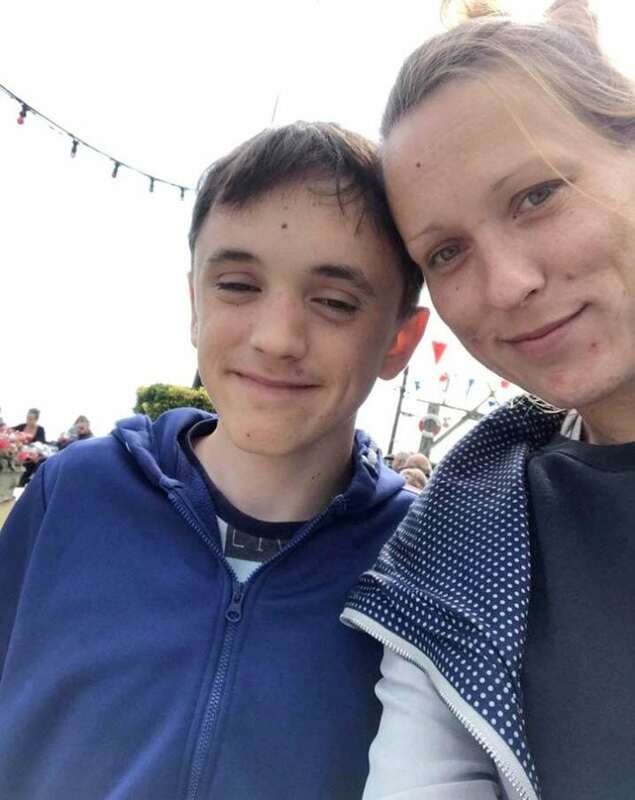 Sam now has three degree vision and like his mum, he has done a lot of research of his own into the benefits of cannabis for people with RP and is excited at the prospect it could save his vision. Catherine said: “He is got to the age when his friends are becoming more independent and inviting each other to go out into town, play football and ride their bikes but he can’t do that. “What Sam struggles with most is not being able to see in the dark and knowing he won’t be able to drive. “He always wanted to be able to drive and not seeing in the dark is really difficult for him. Research shows cannabis can decrease pressure within the eye, help to see in the dark, prevent loss of vision and encourage overall eye health. Damian Collins, MP for Folkestone and Hythe, is supporting Sam’s case after Catherine sent him a summary of her research last week. He responded just three days later and will be presenting the case to Moorfields Eye Hospital.